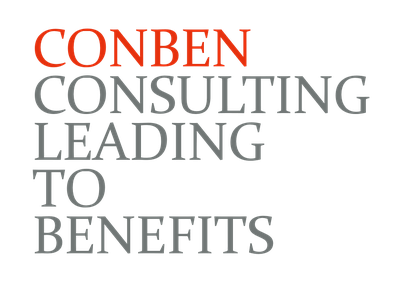 WE aRE CONBEN and How abOUT YOu? We are consultants and coaches with many years of professional experience in various industries and international consulting companies. It has taken us into the wide world in a variety of roles and functions. Leadership experience in different cultures, conceptual thinking, a quick ability to analyze and also to listen to nuances allows us to respond quickly and efficiently to the specific needs of your company. It motivates us to bring people closer to their goals. And we do this with great passion and conviction of our consulting approach. As the founder of CONBEN, he is focusing on management and sales development. He works with board members, managing directors and project managers as well as sales representatives. Implementing change culture and processes, making leadership work, consultative selling, coaching in difficult situations. Companies in the age of digitalization: Creating and implementing visions, goals and strengths. Dr. Stack’s background is Dr.-Engineer (RWTH Aachen University). Working more than 12 years in international technical consulting in the fields of environment, energy and IT. Since 1996 he engaged as coach and trainer helping people becoming more effective. Mrs. Susanne Lohrke is a shareholder of CONBEN and belongs to the founding team of the company. Through her international strategy consulting experience in an American consulting firm as well as in a German, industrial family business, she is equally proficient in a conceptual and pragmatic approach to complex topics. After leading Asian and European teams in the specialty chemicals, pharmaceuticals and automotive industries, Mrs. Lohrke has remained true to her passion for "advancing people and companies to their value-orientation". She works solution-oriented and with the necessary directness, which sometimes it takes to be humorously challenged. However, there are also situations where pausing is important. Between these two levels, Mrs. Lohrke switches in her coaching for executives and teams. In addition to her university degree as Diplom-Kauffrau (Controlling & Marketing) at the Heinrich Heine University of Düsseldorf, she is a scientifically trained coach with psychological background. Don't expect a red couch, but an open and trustful conversation at equals when working with her. Dr. Annette Metz, co-founder of CONBEN, has led the CONBEN Representative Office in Shanghai since 2004. Being based in China allows her to support leadership teams of international companies in the field of human resources and organizational development in Asia - above all in China, Southeast Asia and India. Both, her many years of experience in a European trading company (purchase, sales, marketing) as well as her experience in a Swiss management consultancy represent the basis for her consulting work. As a global citizen - with life, work, and travel phases in many countries of the world - Annette Metz lives her passion to support decision makers in international organizations in exploring and in developing their full leadership potential. She reaches this by creating trustful spaces in which head, heart and hand are equally involved. After a Bachelor in European Business studies (FH Osnabrueck), a Master of Arts in European Marketing Management (Brunel University), Annette Metz earned a doctorate in international management (Leuphana University).